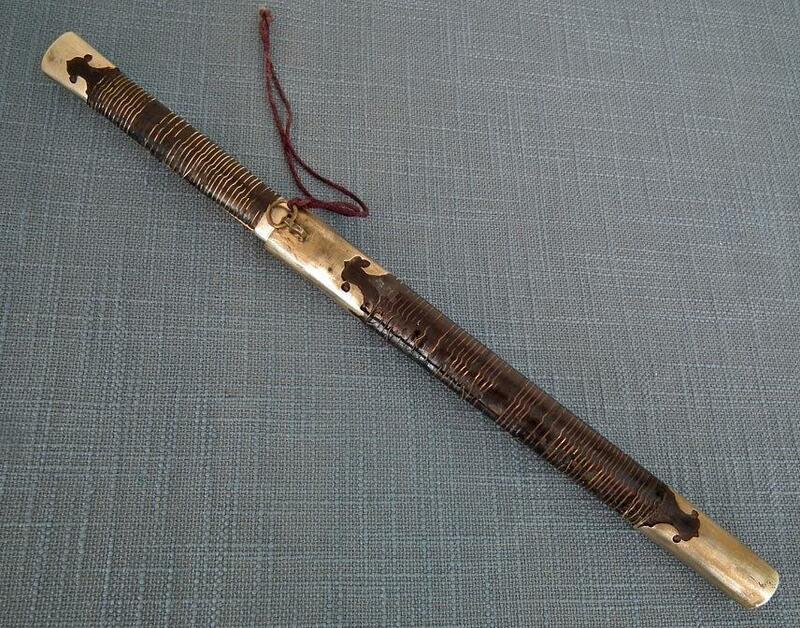 Antique,19th century, Qing Dynasty, Chinese trousse set, comprising of a knife and bone chopsticks. 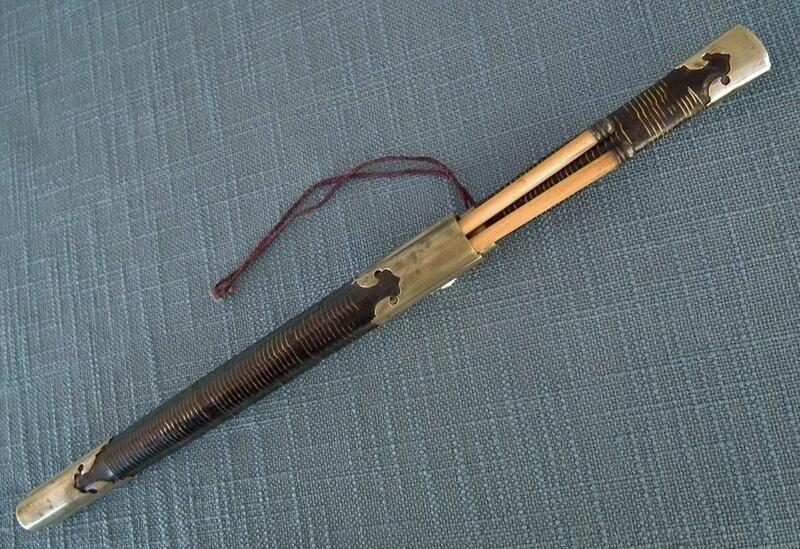 A black lacquered wooden scabbard and handle bound in brass wire and fitted with brass mounts. The suspension ring retains an original fabric cord. 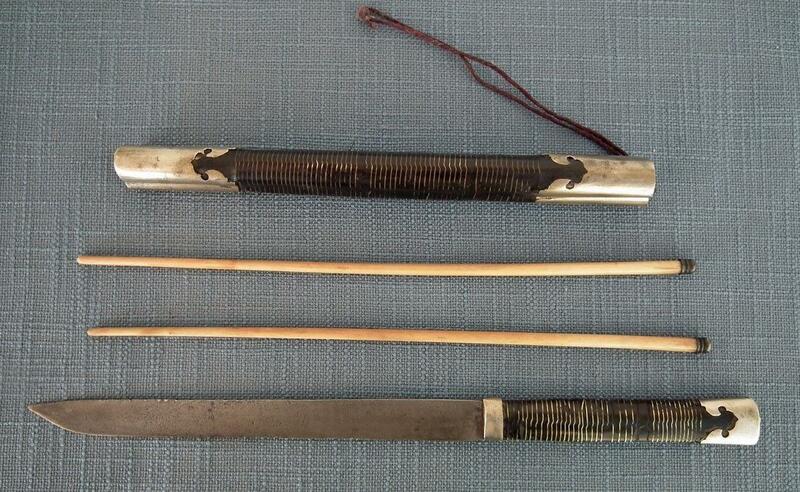 This type of finish, in black lacquer bound in brass wire and fitted with brass mounts, is characteristic for the 19th century Chinese military officer’s swords (Jian’s and Dao’s), so this trousse set was accompanied to the military sword. 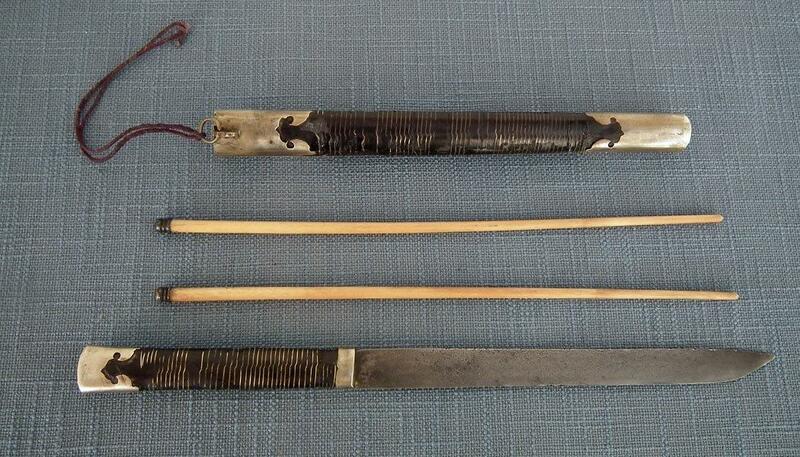 CONDITION: Showing age and usage, lacquer finish chipped, some of the brass wire loose, blade slightly pitted. All of this is an aspect from an over 100 years old used antique knife of everyday use. MEASUREMENTS: Overall length of the knife, sheathed in the scabbard: 32.7 cm (12.87 inches).